Probably one of the last things I would ever buy at a grocery store would be a can of garbanzo beans, also known as chickpeas. I don't like their texture - kind of waxy. Consequently, in a salad buffet, I pass right over the garbanzo beans. This could be a shame, the World's Healthiest Foods reports, "There's now direct evidence about garbanzo beans and appetite! 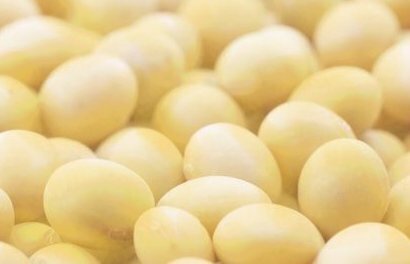 Participants in a recent study reported more satisfaction with their diet when garbanzo beans were included, and they consumed fewer processed food snacks during test weeks in the study when garbanzo beans were consumed. They also consumed less food overall when the diet was supplemented with garbanzo beans." 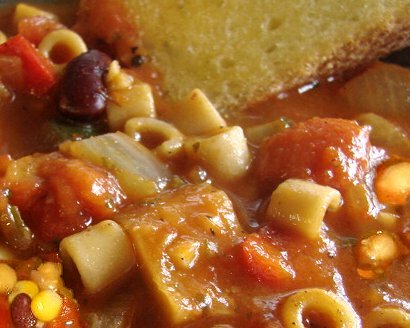 I do like minestrone soup, which is a common offering at Italian restaurants, and is quite often prepared with garbanzo beans. A homemade multi-bean soup is another way to get chickpeas into your diet. Serve your soup with whole grain bread, like Roman Meal bakes, for a healthier meal. Chickpeas are a legume and very high in protein. The Linus Pauling Institute says, "Plant-based foods, including fruits, vegetables, legumes, whole grains and nuts, are prominent features of healthy dietary patterns. In addition to providing energy and essential micronutrients, plant-based foods contribute thousands of biologically active phytochemicals (plant chemicals that may affect health ) to the human diet." Chickpeas were one of the earliest cultivated legumes. Archeological digs have found evidence of chickpeas as far back as 5,500 B.C. Peg went to an Ethiopian restaurant with a friend once and almost every item on the menu was made with chickpeas. I would have had a problem there. Today's ultra popular dip, hummus, is made from chickpeas. 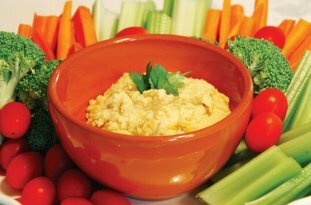 Oregon State University's Healthy Youth Program thinks so much of hummus and its health benefits they have a recipe (Heavenly Hummus) for it and suggest hummus as a substitute for mayonnaise. I like hummus, go figure. Hummus is essentially ground up chickpeas with salt, garlic, lemon juice, and tahini. Experts state that you can make hummus without tahini, but you can't substitute anything for it. 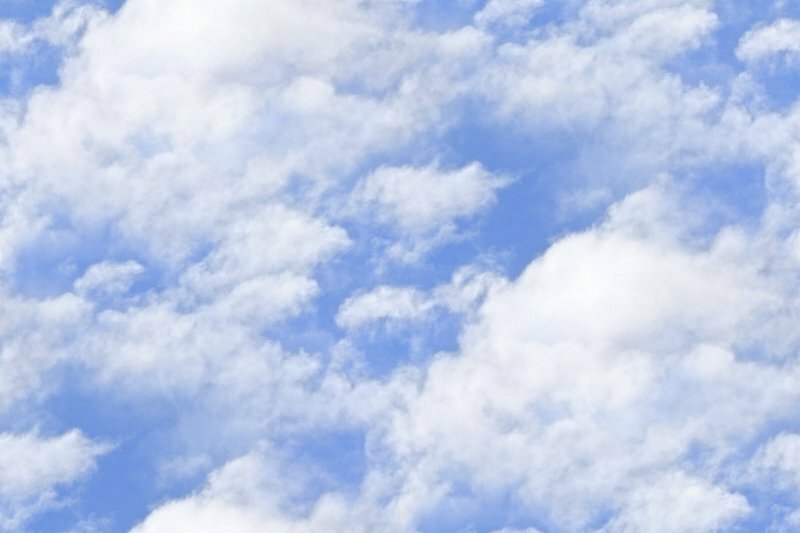 Tahini is a paste made from ground, hulled sesame seeds, which are also good for you. Tahini can be used as a dip by itself and combined with honey or jam and eaten on whole grain Roman Meal bread. Hummus and therefore garbanzo beans, or chickpeas, are a superfood. Hummus is usually eaten with pita bread (flat or pocket bread). I think the new pita chips are very popular with it, but I prefer whole grain toast points and Wheat Thins. Hummus and tahini are great bases for healthy alternatives for party or dinner appetizers. The taste is appealing to both vegetarians and meat eaters. Hummus on toast and minestrone soup would be a great combination for me. Hummus Chickpeas and Tahini, garbanzo beans nutrition information, chickpeas nutrition information, garbanzo beans, chickpeas, free nutrition content article, Healthy Aging Article, Healthy Living Article.